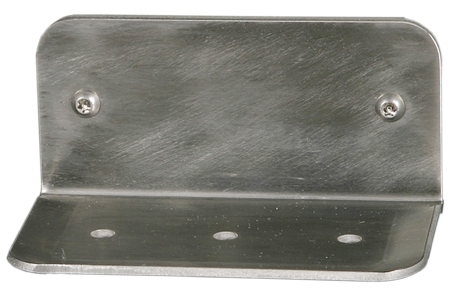 This heavy duty, vandal-resistant soap dish is fabricated from 11 gauge stainless steel with a #4 brushed satin finish. It is formed as one piece with a soap retaining lip. There are two .265 inch diameter mounting holes. The soap dish ships with two 1/4-20 by 1.5 inch pin in torx screws.